Get your digital marketing and brand on a path that’s better, smarter, more cost-effective and clever with branding that bonds, design that dazzles, websites that wow and positioning that persuades. Make Ad Ventures in Seattle your "go-to" resource for branding strategy, website design, graphic design, SEO, digital marketing, web development and advertising. Our ventures are successful, our client comments impressive. Ad Ventures is for businesses going places! 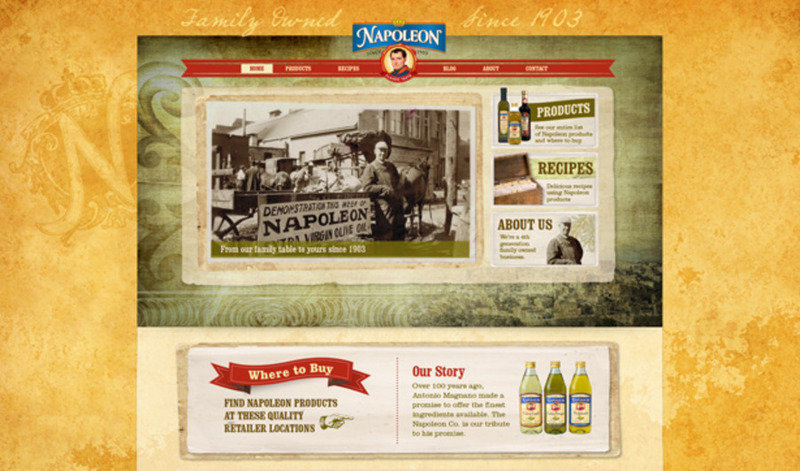 Home page view of redesign of website for The Napoleon Company. Development included custom design, custom HTML5 / CSS3 development, plus custom-developed Wordpress theme with custom fields for easy database editing.